Own Your S#*T in 30 Days. A Daily Guide to Overcome Your Limiting Beliefs, Stop Blaming Others, Become Your Empowered Ideal Self, and Build Your Purposeful Legacy. 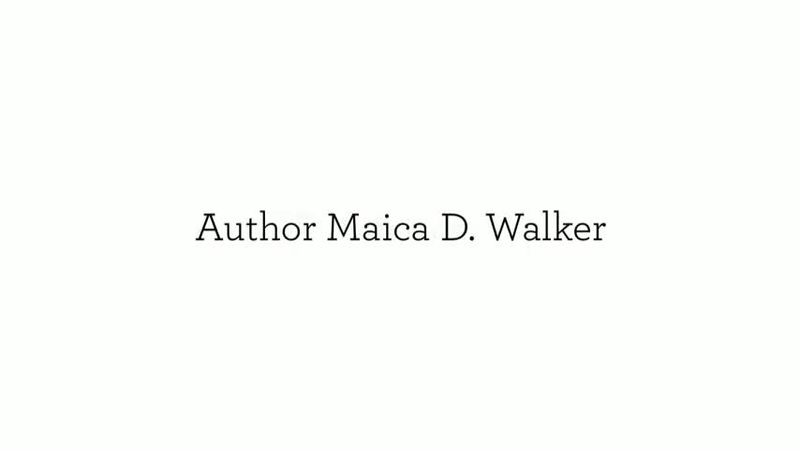 Maica D. Walker is a Certified Estate Planner, and has been a financial advisor in practice for over 17 years. She works with clients in helping them establish, build, maintain and transfer their legacies, according to their wishes. She is an author of a book of poetry, Voice of Emotion, Journal I, published in 2002. Maica also wrote, narrated, directed and produced a Narrative/Dance/Theatre Production, Storm Recaptured, which was set to stage in 2007. Both the book of poetry as well as the stage production were written and performed under her alias, Indigo-The Artist. Therefore, this will be the first book written and published by Maica in her name. Although her predominant time is spent with numbers and planning for the clients in her boutique practice in Houston, Texas, Maica maintains a great love of the arts, from poetry and prose, to dance, theater, opera, live music, and visual art. She is often called upon for speaking engagements related to her field of expertise in wealth management, comprehensive planning, and estate planning, as well as for the women empowerment workshops for women of various ages. Maica hopes that this book will help to inspire more people "men and women alike" on a much larger scale. She also hopes that someone will be motivated to reach beyond their current, and choose to become their greatest self "their Ideal".